- The name says it all. There's even knotwork on the bail that it hangs from. 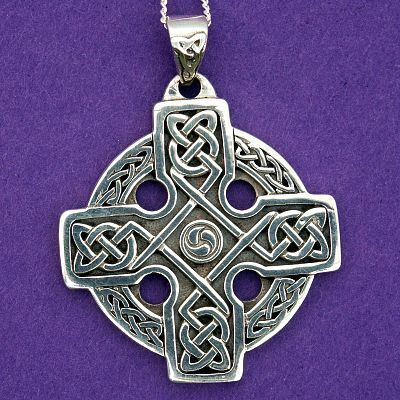 This is a true Celtic cross, with all the arms of equal length. The arms of the cross are 1 1/8" across. Includes an 18" sterling chain. Do you have any other questions about our Silver Lots of Knots Cross Pendant? This necklace is absolutely beautiful! It more than met my high expectations. I had a need to contact the owners and they were quick to resolve the situation. I highly recommend not just this necklace, but this company.